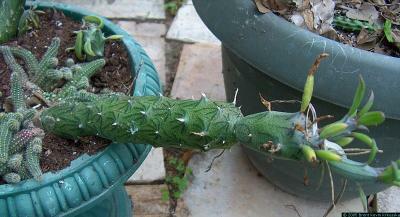 Senecio stapeliaeformis is an odd plant to take care of. For a while, it seems it will grow anywhere, then I get bouts of rot that I can't associate with seasons, water, soil, sun, or anything else. However, it grows fast enough and it so easy to grow cuttings from that I've ended up with lots of them everywhere. It likes full sun with protection from the heat of the day. In mid-summer in the full sun, it turns from sun-burned red to sun-damaged brown. Senecio stapeliaeformis likes well-drained soil and regular watering in the growing months, and little to no water in the cooler months. 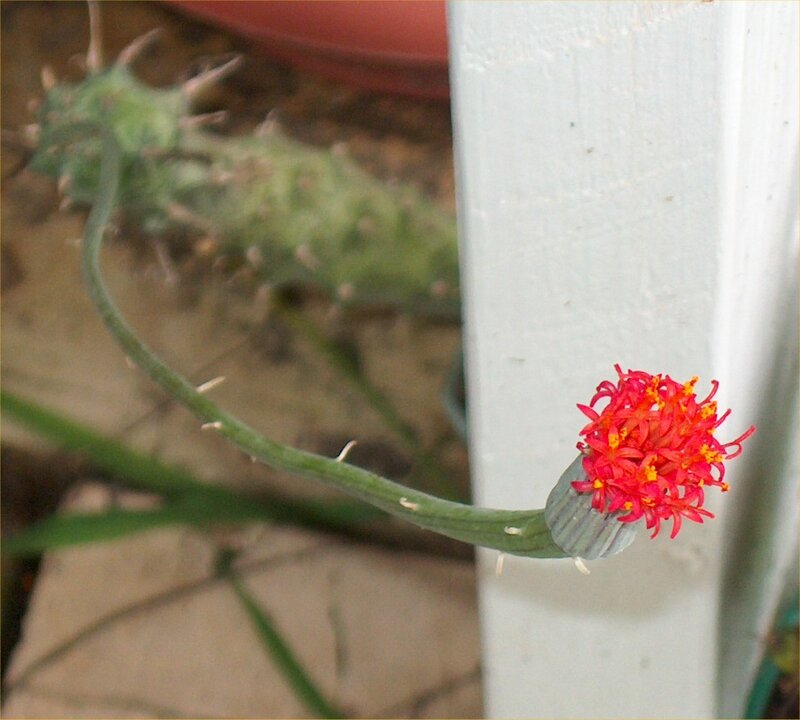 Senecio stapeliaeformis flowers form in the spring and can last for a month or more. They are bright red and look kind of like dandelion flowers, and the seeds are ever more dandelionish. I sometimes put the seeds into pots with other plants to see if they'll grow, but I never try very hard, and they've never grown. Because cuttings are so easy, I don't try very hard. This is another plant that loves life so much that I now have them everywhere. Or did I say that already?